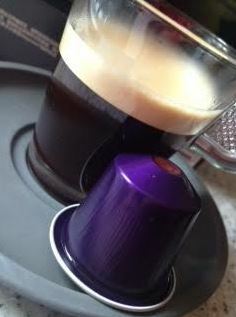 I’m a decaf drinker and so from Nespresso I’ve only had three choices and of those, only one I liked. So you can imagine my excitement when I was told that there were three new decaffeinated grand crus. I wrote about the launch lunch HERE but I wanted to do more on the flavour. My chiropractor told me I had to give up caffeine because of my thyroid issue so I made the painful switch to decaf coffee and tea. The week-long headache was a challenge but for the sake of bone density I was willing to do it. After that, I found life shrank to a small number of coffee choices. I rejoiced when Square Mile brought out their amazing decaf but I still had limited choices. So at home when we bought our Nespresso machine, a choice we made because of testing it at my father’s house as well as their commitment to improving farmer’s lives, we had one decaf for me (Intensio) and about 10 choices for husband. So it was absolutely wonderful that Nespresso finally brought out a new series of decaffeinated coffee capsules for their machines. 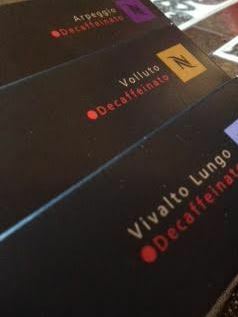 Apreggio, Volluto and Vivalto are already available in normal caffeinated versions and have now been launched in decaffeinated versions. Each of the Nespresso decaf capsules is different and delightful. In fact I liked them so much I bought my mom some! Volluto Decaffeninato – I’m surprised that the acidity and red berries comes through in this one. It has a light and gentle acidity with the red berries making it possibly better without milk. I think the sugar brought out the berries more and there was a bit less acidity but I’d not add milk. Definitely the decaf for someone looking to drink a straight up espresso with some character. Arpeggio Decaffeinato – This was a deep roast with a distinct coca flavour. It was quite robustly coffee flavour which made it perfect to put in my latte 😉 There was no real fruit or acidity so it took everything I threw at it – sugar, milk, cream – everything! I think you might be able to add flavoured syrup to it as well! This is brilliant and strong and a perfect neutral canvas upon which to paint (so to speak). 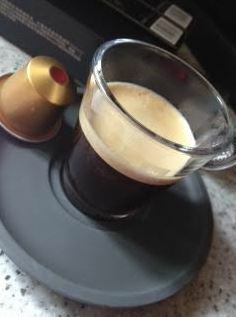 Vivalto Lungo Decaffeinato – OK so this cup was actually too small for the lungo I pulled (whoops) but I definitely got the floral notes that are supposed to be in there. I could have sworn I got jasmine and I think that’s pretty awesome from a decaf coffee. I didn’t get too much of the fruit but I suppose it was there – I was just so impressed with the florals I really focused on them. 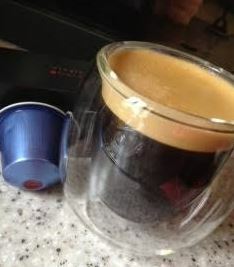 Not too burnt tasting as some can be, this was a delightful lungo.